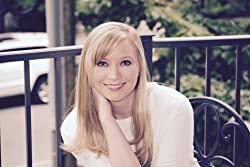 Thirty Days to Thirty is Courtney Psak's debut novel that was awarded first place in the romance category for Best Fiction Award 2015 by the Urban Literary Agency. She is also a member of the Women's Fiction Writer Association and the National Writers Association with a Masters in Publishing. When she's not writing she is constantly looking for new experiences she can use as inspiration. Please enter your email address and click the Follow button to follow Courtney Psak!